NETWORK IT SUPPORT - Brisbane and Sunshine Coast - Networks made secure. We provide reliable IT Support to businesses in Brisbane and on the Sunshine Coast as well as Australia wide. Our IT Support rates are reasonable and we can offer you a monthly fixed cost or we can bill by the hour. 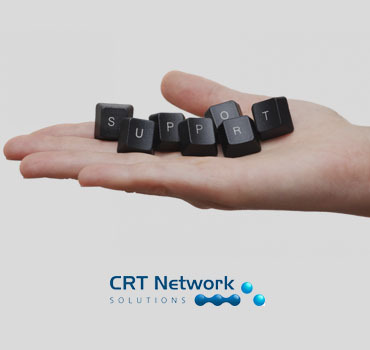 If you are needing IT Support for your business network or you are looking for a change in your IT Support provider, please contact one of our friendly staff at CRT Network Solutions and we will be happy to help you. We can help you with every aspect of your IT Support including web design and web hosting. Our staff are highly trained and understand networking IT processes.